Honourable Minister of Health, Dr. Chitalu Chilufya, has officially launched a new health initiative partnership with a high-ranking group of German companies and organisations, to improve the rural health care, facilities and services in Mumbwa District. The new project will initially involve capacity development of local medical staff, infrastructure improvements at Kafwikamo Health Post, provision of an ambulance, and bicycles for community health volunteers. There are over 5,000 people living in the area directly surrounding the Health Post, which is next to Amatheon Agri’s farm. The facility was opened to the public in August 2017 and has so far attended to 16, 971 patients. The high-level delegation from Germany, led by Amatheon Agri, includes one of the world’s largest medical technology companies, B.Braun, a leading German non-profit welfare organisation, Arbeiter-Samariter Bund (ASB), a construction company, Zero Carbon Designs, and Professor Haverich from the Hannover Medical School. “This partnership is a powerful example of likeminded people coming together, combining experience and expertise from a variety of industries, and committing to strengthening the health system surrounding our farm,” said Amatheon Agri CEO and Founder, Carl Heinrich Bruhn. 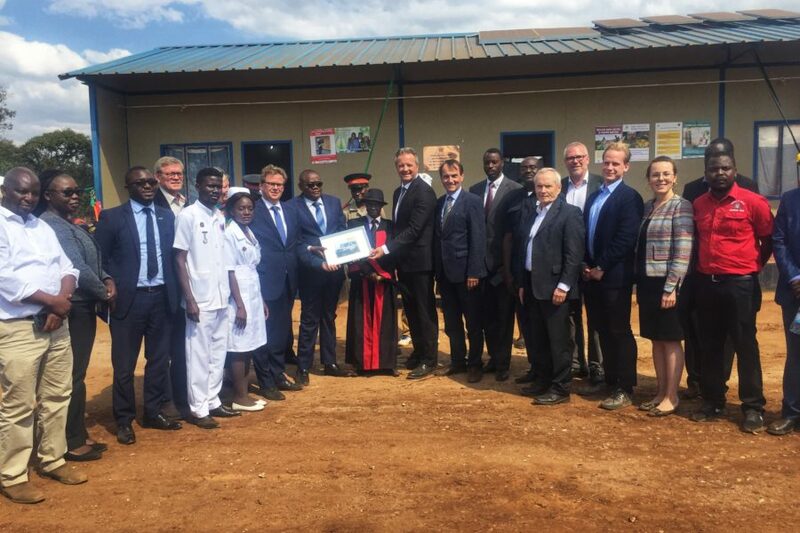 “As a company, we are committed to supporting the social infrastructure around our operations, and we know that this project will go a long way in terms of improving the much-needed health services and delivery in the area,” said Bruhn. Before the post was opened, health services were only accessible more than 15kms away. The commissioned health facility will go a long way in the provision of health care services to the Kafwikamo community, especially by mitigating the difficulties of travelling long distances to access primary health care services. Community health volunteers will be provided with bicycles which will help them carry out their services and teach basic health tips to people in very remote areas. 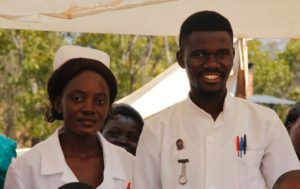 Essentially, it will help take the services as close to families as possible, thus cutting down on the high number of patients coming to the health facility. This will make it possible for the health staff to focus more on critical cases. The ambulance being provided through the project will be based at Kafwikamo Health Post. Previously, the ambulance service used to come in from Mumbwa District which is situated about an hour’s drive from Kafwikamo.